Dr.P.J.Mazumdar and Downtown Hair Transplant Clinic introduces in Guwahati, Assam and the North East the most advanced technique for hair transplantation the FUE method which is extremely effective, painfree and highly comfortable for the patient. Where is Arogyam Hair Transplant Clinic situated? Who is the chief hair transplant doctor there? Arogyam Hair Transplant Clinic is situated in Guwahati, Assam. It is a part of Downtown Hospital, Guwahati. Dr. P. J. Mazumdar, MS, FICS, Diplomate ABHRS is the hair transplant doctor of Arogyam Hair Transplant clinic. All consultation and procedures are done by Dr. P. J. Mazumdar, Hair Transplant specialist. 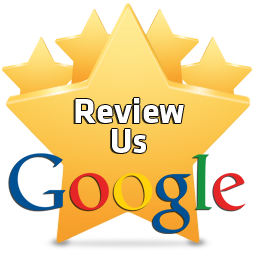 He is the only US Board Certified hair transplant doctor in the North East. What method of Hair transplant is done there? At Arogyam, the most modern hair transplant method, Motorised Blunt FUE, is used. This minimises hair injury thus allowing the healthiest and best growth of hair. This method was first introduced in 2006 by Dr. Sam Harris, the founder of modern FUE. Dr. P. J. Mazumdar trained under Dr. Sam Harris in 2016. This is of course always an important consideration in cosmetic procedures. Cost in Hair Transplant depends on the number of grafts to be done. The number of grafts needed in turn depends on the area that is empty and also on the desire of the patient. Patients having larger bald areas will require more grafts. Also the patient's desires like how much density he wants and the area he wants to cover all affect the price. Some centers nowadays quote a lump sum to patients or quote price in terms of square centimetres but this is not fully honest as the patient then does not know exactly what he or she is going to get. Also, quoting price in terms of hairs rather than grafts and offering discounts are other ways of confusing the patient. Although some centers nowadays quote a lump sum to the patient or in terms of square centimetres or in hairs instead of grafts, in all reputed AHRS accredited clinics cost is calculated in terms of grafts which ensures total honesty and transparency. At Arogyam Hair Transplant Center we are committed to offering a straightforward honest appraisal for costs and also to keeping the costs at the lowest possible rate for the people of the Northeast. Is the procedure safe? What are the risks in the procedure? Hair transplant is a very safe procedure. 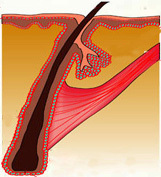 Hair remains in the skin itself, and so the only thing that is dealt with in the procedure is the top layer of the skin. There is therefore no risk involved at all in any part of the procedure. The FUE method is even safer than the strip method. In the strip method, a strip of skin is cut out and the edges have to be sutured. Though even this method is very safe, yet there is slight risk of excessive bleeding, wound infection, nerve injury leading to long term pain, etc. In FUE, even these risks are not there. A specialized small drill is used to remove the hair and special implanters are used to plant it back in the new site - there is no risk involved anywhere in this procedure. How do I select the best Hair Transplant Doctor and Clinic? How can I be sure that I will get the best treatment? How many hairs do I need to do? The number of hairs that are needed by an individual patient will vary widely. This can be assessed only after seeing and examining the patient. Most late stage bald patients will have a 1000 to 2000 hair transplant, while those in the early stages of balding may do just 500 hairs as an initial transplant which is sufficient to camouflage the hair loss and gives a nice cover and look. Contact at the Downtown Hair Transplant Center to estimate your ideal requirement of hairs for transplant. Pain is minimal in FUE hair transplant. The whole procedure is done under Local Anesthetic. There is therefore no pain during the procedure itself. Postoperatively also, FUE causes much less pain than the earlier strip method and this pain is easily controlled by analgesics which have to be taken for about three days. In strip method, since there is an incision and there is also a stitch, pain is much more severe in the post operative period. Analgesics have to be taken for a longer time in the strip method. Read more here about pain in hair transplant Pain in Hair Transplant. Is Hair Transplant the only treatment available for hair loss in Arogyam? No, we also provide medical treatment for your hair loss or any hair problem. When you consult at our clinic, you will be first assessed for your hair problem and an appropriate treatment plan will be devised and discussed with you. Many hair problems including hair loss can be treated with medicines. PRP, SMP and LLLT are other available treatment options. When medicine treatment is possible, this will be the primary mode of treatment for you. It is only when hair transplant is a must that it will be advised for you. Will the transplanted hair fall out again? No, it will not. That is the point of using hair from the safe zone. The hair in this safe or permanent zone are genetically programmed to last throughout your life. (Look up here to see what the safe zone is.) Hence when this permanent hair is transplanted to the bald zone, it will grow there throughout your life, you can expect this hair to remain there till your death! Will the transplanted hair grow normally? Yes, the transplanted hair will grow normally throughout your life. It is your own normal hair. It will grow at just the same rate as other hairs. Wont the hair at the back, the donor zone be reduced? Yes, the donor zone will have reduced density of hairs. But hair from here is taken in such a way that the reduced density is not appreciable. The safe zone has a thick density of hair. Only around one out of eight hairs is taken. This loss of density is not visible and after the procedure, no one will be able to make out that you have reduced hair in this part. Besides, since it is at the back of the head, the hairs growing down from the top cover up this area anyway. Will the original hair in the balding regions continue to fall? Yes, unfortunately your original hair will continue to be affected by balding at the same rate. This often makes a repeat hair transplant necessary when the first hair transplant is done at an early age. Can I comb, shampoo and dye the transplanted hair? Yes, this is your own natural hair. You can comb, shanpoo or dye it as required. You do not need any special kind of shampoos or hair oil for the transplanted hair, you can use your favorite brands. You can shape it as you like. The hair will also grey naturally along with the other hair. What if I shave my head later? Will it grow back? Yes, the hair will grow back after being shaven. The roots of the hair are planted deep into the skin and it is these roots, just like other hair, which will grow the hair shafts after shaving. Are there any investigations that need to be done for hair transplant? Yes, investigations are needed for hair loss before going for hair transplant. We first need to look for any particular conditions which could have caused or added to the hair loss. Look up here for causes of hair loss. Besides this, some investigations are also needed for safety during surgery also. A full investigation panel is advised at the first consultation for hair transplant. Look up here for a list of investigations that may be advised. Can Hair Transplant be done in females? Yes,certainly. Hair transplant is done in females also and basically the same procedure is followed with the same success rates. In females, hair transplant is done mainly for two reasons - to lower the hairline in those ladies who feel they have too large a forehead due to higher hairline, and to increase hair density in ladies with hair loss due to female pattern baldness. The results are the same and female baldness is also helped very much by hair transplant. In fact, about 5% of patients in a hair transplant clinic are females. Look up here for an article on hair transplant in females. I have a small round region of hair loss. Can hair transplant be used to cover this up? No, this is not an ideal case for hair transplant. This sounds like alopecia areata, an autoimmune condition. In this, the body's own antibodies attack the hair follicles in a particular region causing the hair to die out there. This causes the bald region. Hair transplanted into alopecia areata regions soon die out, and hence hair transplant is not advised for this. See a dermatologist for this. Steroid injections can often help hair to return. Mesotherapy is not at all an acceptable therapy for hair loss. It is a totally unscientific therapy and no studies at all have been done into it. It is a sheer waste of money. There is no scientific proof at all that it is effective, and in fact there are studies that show that it can harm hair growth. Read up here for an article on mesotherapy. Can hair from other persons be used? No, hair from other persons cannot be used. The immune system of the person would reject the hair and there would be a lot of inflammation and infection. In case of transplants like kidney and liver transplant, the person has to take immunity suppressing drugs throughout life, but this is not practicable for a hair transplant. Can Artificial fibers be used for hair transplant? Artifical Fibers in Hair Transplant have a long and controversial history. In fact artificial fibers were among the first materials to be tried for hair transplant. But they are not commonly used anymore because they have various disadvantages. There are still some centers which use artificial fibers, but few people use them. Read up here for more information on Artifical Fibers in Hair transplant Artificial Fiber. What is the difference between hair and graft? How long will the procedure take? Do I need admission in the hospital for this? Most procedures are done within one day. It takes about 8-10 hours for the procedure. The procedure starts at 9:30 AM and can take upto 6 PM for 1500 grafts and 7PM for 2000 grafts. The biggest procedures of more than 2000 grafts are done over two days upto lunch time the next day. However, the patient does not need hospitalisation. He can go home or stay overnight in any accommodation and come back next morning for the second day of the procedure. Will there be any bandages? Will the transplant be visible to others once I go home? No, there will not be any bandages at the front of the head after the transplant, there will only be a bandage at the back of the head which is to be kept overnight and removed the next day at home. After the transplant, the area of transplanted hair will be slightly reddish and scabs will form at the base of the transplanted hairs, and patients will have to wear a cap or a head scarf when going out to stop others from seeing this. This is required for only for 10-12 days, after that the scabs will disappear and the area will look very normal and caps or scarves are not needed. Will my hair be shaved for the transplant? No, hair need not be shaved but it is trimmed very short, to about 3 mm which is about the size of the hair length of security forces. Do I have to take rest after the transplant? How soon can I get back to work? No, you do not have to take rest at all and you can join in your work from the next day, though you may have to wear a cap or scarf to cover up the signs of hair transplant for 10 days. I have excessive hair on my body and want to remove it. Can hair transplant help with that? What about persons who have lost most of their hair? Is transplant possible in such cases? Persons who have lost all hair in the front and vertex are called Grade 7 baldness. In such persons the area of hair loss is more than the available hairs in the back of the head. But coverage of the head can still be done by taking hairs from the beard and chest. The number of grafts needed are very high, 4500 to 5500, but good recovery can still be achieved though time and cost is more. How soon can I wash my hair? How soon can I take a bath? You can take a bath from next day. Arogyam Hair Transplant Clinic also allows washing of hair from next day itself, though of course very gently. Shampooing of hair is allowed after 4 days. I am not having baldness but I am having severe hair fall. Can Hair Transplant solve my problem? How soon can I go back to the gym? You can go back to the gym after 7 days. However, you should avoid weights for 20 days. From 7th day to 20 days, you can do free hand exercises and cardio training. After 20 days full gym exercises can be done. Will there be any infection? Will there be headaches? Will there be any effects on the brain? This is a question that is often asked by hair transplant patients but in fact the brain is not involved in any way in hair transplant. This is done only in the upper half of the skin and the brain is much deeper and moreover it is enclosed in the bones of the skull. There is no way that the brain is involved and so there is no headache or any other effect on the brain. I am a female with hair thinning and visible scalp but I do not want to do hair transplant. Is there any option for me? I have high BP and/or Diabetes. Can I do Hair Transplant? Yes, hair transplant can be done in patients having high BP or diabetes also. The only requirement is that the pressure and blood sugar levels must be controlled at the time of the transplant and for 3 weeks afterwards. You must disclose to the doctor your condition and also all medicines that you are taking for your own safety. All conditions like cardiac stenting or angioplasty must be disclosed to your doctor during the time of examination. I take medicines everyday for a chronic condition. Can I go for hair transplant? Yes, hair transplant being a relatively safe procedure can be done in most cases. However, you must disclose to your doctor any medicines that you take regularly or any prior medical conditions that you have prior to the procedure. What is Direct Hair Implantation? How is it different from FUE? Direct Hair Implantation is a type of FUE. It is not a different technique. The difference with the normal FUE lies in one step only in that during the method of extraction, the cut graft is not taken out from the scalp and placed in a tray but is kept in the scalp itself and then taken out and planted. This does not make any difference in results. Read up here for more information on Direct Hair Implantation. You can get back to work from the very next day. That is the power of the Motorised Blunt FUE technique. It causes very little morbidity and the patient is not at all inconvenienced. You may choose to wear a cap for about two weeks so that the signs of operation like a slight reddishness of the operated areas are not seen. After two weeks, even the cap is not necessary. There are no other factors like pain which could keep you from work. What problems may I face in the post-operative period and what precautions will I need to take? The postoperative period is generally uneventful. You will not get any major problems. Medicines will be prescribed for you which will help tackle the common side effects. You will be able to consult with the doctor directly for any problems that you might want to discuss. Doctor will be available for consultation and no consultation fees will be charged post operatively for any consultation.